Patch 5.9 is on the way and the official patch notes have been posted! Continue reading for the complete notes, including oodles of balance changes, ten new upcoming skins, a gameplay update for Ashe, changes to the combat text, and more! Something we've been tinkering with in the workshop - a small functional addition to the attack move command (commonly bound as shift + right click or A + left click). The explanation goes like this: whenever you issue an attack move command on the ground, your champion moves toward that location while automatically attacking anything they encounter along the way. NEWATTACK MOVE ON CURSORWe've added a new feature, "Attack Move on Cursor," that will attempt to attack move the target nearest your cursor if you target the ground near them. If no target is found, you will attack the nearest target as normal (or move to the targeted area if no targets are nearby at all). SO MUCH CHANGE AVERSIONYou can toggle this feature off in the options menu. We could have shipped this already off, but we know people are lazy and then we won't get feedback and that's really no good. This has been on the PBE for a little while, and since we haven't run into any big issues with it, we figured why not? If you run into any issues with readability or have any feedback, feel free to let us know. Otherwise... woo combat text changes. Woooo! BIG NUMBERS, MANGenerally, the more damage a single hit deals - the bigger it will be on screen, up to a limit. Insignificant damage numbers will be far less pronounced and will fade more quickly. CONTINUOUS COUNTERSChampion damage over time and multi-hit abilities now display a 'combined' total damage number, as well as the normal tick damage. This will only display the 'combined' total damage on minions. NUMBERS EVERYWHEREWe've made some minor adjustments to the position and scroll direction of various types of text. Specifics include: on-hit procs will scroll with the original damage hit, and heals will scroll in the same direction as shield absorption text. Ashe has been updated! Check out the article if you want the full story, or just below if you want the specifics. VOLLEY BLOCKEREnemies can now block multiple arrows, but will only take damage from the first. A number of patches back, we reduced some of Akali's ability to click on - and delete - squishy enemies. This time around we're looking to give her back some viability and power, but not in the cases where she was raising alarm. In other words, we want Akali to be able to contend when she shows up, but we don't want to just do it by exacerbating her frustrating gameplay. You'll see this strategy in our changes to E's utility (wave clear and as an energy dump), as well as R positioning Akali much closer to her target so she can actually get off a Q proc. For a bear-toting powder keg of midlane murder, Annie's ranges have always made it difficult to interact. Though her attack range is still above average, keeping it in-line with her spells helps opponents skirt the dangerous line between 'On-Fire' and 'about to be'. Between being a hell-bent specter of vengeance as well as a flashy marksman, Kalista is nothing if not polarizing. One small misstep can be all she needs to begin her hopping-spree and litter the rift with spears - a task made even easier when there's a convenient tank or fighter to backpedal off of. We like the finesse required to use Martial Poise to dart and dodge through opposing skillshots, but in the interest of throwing a bone to melee champions everywhere, she'll need to rely more heavily on good ol' fashioned positioning to get her away from some of the beefier bouncers on the battlefield. While Morgana's strong crowd control and top-tier denial tool in Black Shield make her fantastic for those looking to protect a priority target or pick off a straggler, they also toe the line of making her a 'fallen-angel-of-all-trades'. In the interest of keeping her strengths strong, we're limiting her early lane control with the powerhouse pushing of Tormented Soil so she isn't great in every situation. No longer will Nasus have his sick baits outplayed by random cast time interference. Ult safely, my friends. While Nocturne's not in the worst spot as far as living nightmares go, his early-game's a little softer than we'd like considering how reliant he is on the post-6 paranoia pressure he puts on lanes. Mixing in a tad more spookiness to Unspeakable Horror's damage output should up his effectiveness when murdering frightened Teemos. True to his viking origins, Ragnarok's double-edged sword of offense vs. defense paints an interesting decision point for Olaf players. The trade-offs become much less clear the further he falls behind, creating an uphill battle through waves of sustained damage and crowd control to even land a hit in. Adding a speed boost doesn't solve all of Olaf's problems, but it'll help him close the gap on mispositioned targets, forcing them between Ragnarok and a hard place. These days Renekton's looking more like his old lane-dominant self than a pair of shoes, but that doesn't mean he couldn't use some polish around the edges. We're increasing the usability of Ruthless Predator both as basic-attack reset and a powerful CC tool so his trades can feel as weighty as they should without going too far in either direction. Known for fast-paced combos and even faster executions, Riven's a flurry of strikes and shouts that every solo laner has to pay respect to. We're toning down this blade-wielding blitzkreig by shaving some of her mobility and reliable damage, meaning she'll have to rely on getting up-close and personal with her abilities if she wants to enjoy the same level of effectiveness. Not much to see for the Rogue Mage in this patch besides some changes to a pretty goofy interaction between Muramana and his opponents' melting faces. We're still evaluating what kind of love Ryze will need (if any) post-update as people learn what builds and skill orders work best, but he's right at the top of our radar for emergency rations if need be. Even though Bandle City's most famous commando is never far from the front lines, Explosive Charge is having less of an impact that we'd hoped for being the cornerstone of both her damage output and strategic niche of 'breaking every tower forever'. We're tacking on an extra bit of boom, as well as smoother cast-times when Tristana gets trigger-happy so she'll get more bang for the effort required. For a fighter so hyped as the ultimate Tank-Buster, Trundle's been pretty underwhelming in the age of Cinderhulk. Much of this isn't even due to his stat-stealing nature - his presence in fights simply isn't there when compared to his peers. To power-up the truly unique clubbing experience Trundle provides, we're giving him some oomph on his most iconic spell so he can put any lopsided skirmishes (or mispositioned marksmen) on ice. 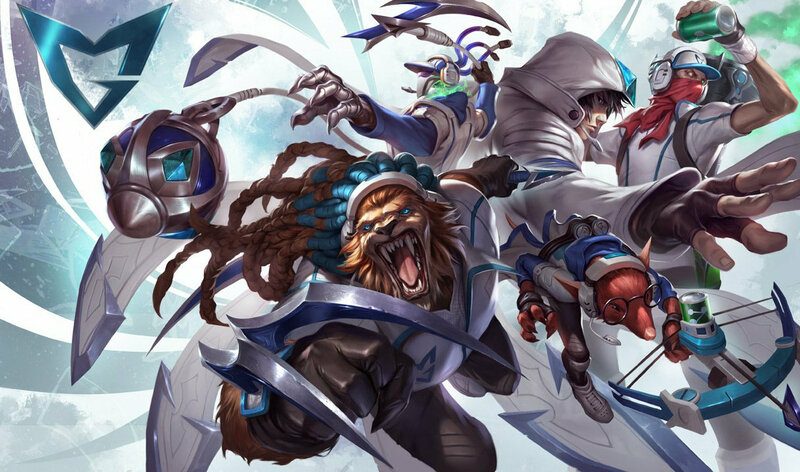 Though often seen as a high-damage diver, we're beefing up Xin's crowd control to boost his potency when functioning as a team's initiator. He'll still need additional follow-up from his team to not splat immediately afterwards, but at least he'll hit with all the force of a great typhoon before going down. Another one of the League's flashiest champions, Zed isn't well known for letting his opponents get a word in (let alone a single spell-cast) once he's marked them for death. Now even the most unsuspecting of prey has a small window to throw a wrench in Zed's plans before he vanishes to safety. EMBRACE THE SHADOWNow has a 1 second cooldown before it can be reactivated to return to Death Mark's shadow. It's clear that Cinderhulk's got two big strengths - a scaling defense component (+25% bonus health) and a lot of ramping ambient damage against champions. After our initial investigations, we realized we didn't want to reduce the defensive component of Cinderhulk, so we instead tackled its offensive potential. This is a slightly designer-y way of saying we want Cinderhulk to keep its tanky identity, but is probably overtuned in its champion-mauling capabilities. That said, we're trying to not just straight nerf it, so re-clarifying Cinderhulk as a jungle clearing pickup seems like a good idea. When we first shipped Skirmisher's Sabre, we made that debuff duration long to really emphasize its extended combat use. Plonk it on an invading Lee Sin, smack him around a few times, and suddenly he's reconsidering his decisions in life. That said, we're now seeing this thing really pick up in popularity (particularly in top lane), and we've realized that 6 seconds is probably too long. Particularly when there are focused summoner spells (Ignite and Exhaust) that Challenging Smite straight up outclasses with its breadth of uses. It's worth re-emphasizing that we do like emergent gameplay when it pops up - as long as it doesn't stifle champion diversity (ie: if top lane becomes "who can use Challenging Smite the best?" that would be concerning). P.S. That bugfix would have been done regardless of the strength of Skirmisher's, given the definition of true damage. C'mon. Every season we make Dragon a more difficult encounter and then, at some point in time, he gets old and trivial and nobody's actually scared of this scaly baddy. It's that time. We're just amping up a bit of his early game here. By mid to late, this change should be pretty negligible. FOR CLARITY% current health damage is unchanged, in case you were concerned. We've taken 75% of Mark's damage and put it into Dash so... if you want to execute someone with a snowball, you're going to have to go on a trip. IT'S COMPLICATED SEE BELOWMark/Dash still deals 20 (+10 per champion level) true damage. If you're wondering why we're reiterating something, see below. It makes sense, we promise. Last year we introduced Match History to the web; we'll be bringing a good chunk of that functionality to your profile page in the days following 5.9's release. The web experience will remain the place to go for shareable (show-offable?) match details like build paths or damage stats, but the client should now be sufficiently leveled up for effective review! TIMELINETracks champion and objective kills by time interval. Hovering over an interval breaks down who took what during that time. EVENT MAPInteractive map of champion and objective kills for both teams. Hovering over the gold graph or timeline causes the event map to reflect the state of the game at that point in time. 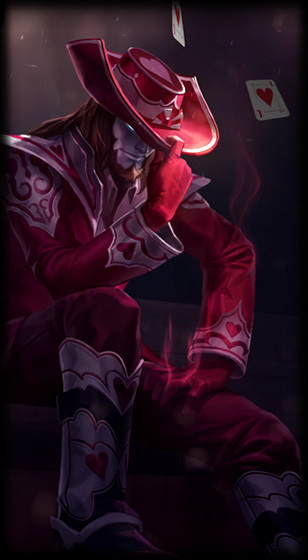 Jack of Hearts Twisted Fate now uses this group splash art! Here's a brief look at a few of the new things included in patch 5.9, including things mentioned above in the patch notes and things discovered during the last PBE cycle! Most of this coverage includes preview screen shots and video taken during the 5.9 PBE cycle and may vary from what is pushed to live. 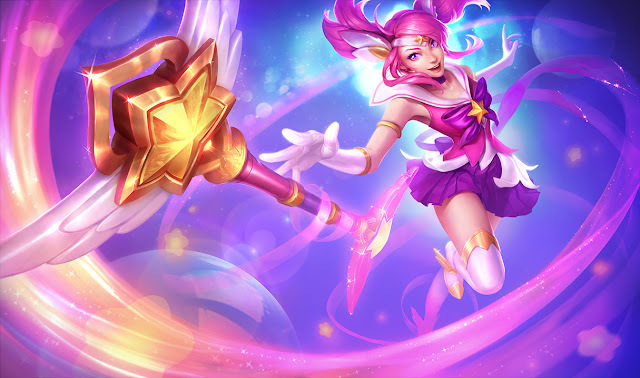 Patch 5.9 is set to include a total of TEN new champion skins - Star Guardian Lux, SSW skins for Rengar, Singed, Talon, Thresh, and Twitch, and Playing Card themed skins for Ezreal, Mordekaiser, Shaco, and Syndra. As usual, no release dates for any of these but we'll have complete preview posts ready when they launch! 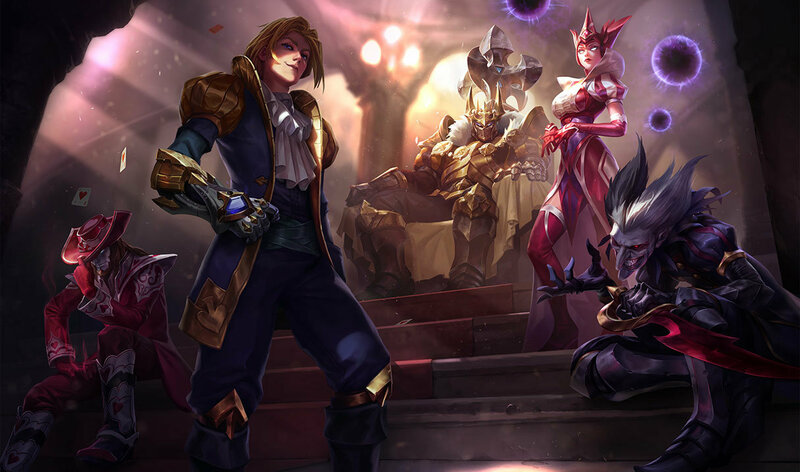 For more on these new skins, check out our 5.9 PBE coverage. A new summoner icon featuring Gromp has been added to the game. No release details yet but Gromptastic! As mentioned above, Ashe has received a champion update in this patch includes a new passive and Q! Once she activates Q, she fires a flurry of arrows with each shot. She also has a new W indicator! Ashe also has a new Q icons, a flipped W icon, and her old Q icon moved to her passive. More information available here, including details on a limited time bundle! Another mysterious duck has been added to the files - can you find him? What the duck does it mean?